Christmas is just around the corner and if you're like us, you probably still haven't decided on a present to get your mum… or your nan… or your best friend. Sound familiar? Don't fret. We've round up a bunch of gifts that will get the tick of approval from all the ladies in your life. Find us someone who doesn't love a bit of hand pampering – you won't. Infused with ylang ylang, lavender, orange, geranium, patchouli bergamot and all that good stuff, Endota have a hand wash and hand cream set that will make you the favourite grandchild of the year once again. Buying makeup for someone is never an easy task, but it can be done. Cue Endota's Radiance gift pack that has all the goodies to make any gal swoon. There's an organic rosehip oil, a deep hydration face moisturiser, illuminating highlighter, mascara and it all comes packaged in a beautiful Carla Dinnage Designed Costmetic Bag. Your mum's Christmas present is: sorted. So you couldn't come through on your promise of a tropical holiday for mum? – no worries. Thanks to this bronze body gift pack, you can bring the holiday to her. Get that sun-kissed glow from head to toe without the harsh exposure of the sun with these skin loving products that will have you summer ready. The ultimate gift for those stuck with a price limit, the Endota gift card (valued from $25- $2000) will save you time, stress and any gift-related meltdowns this Christmas. Whoever is on the receiving end of the pressie has the freedom to choose whatever treatments they like, and can even create a customised spa experience. And the best part? 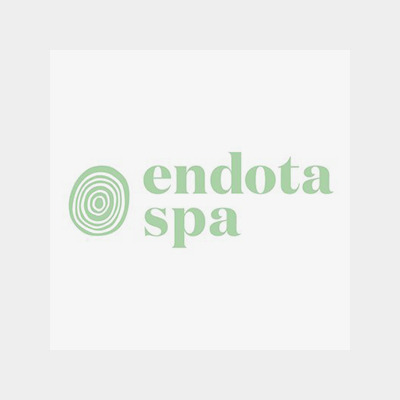 You can get ALL these perfect presents from the same place: Endota Spa!